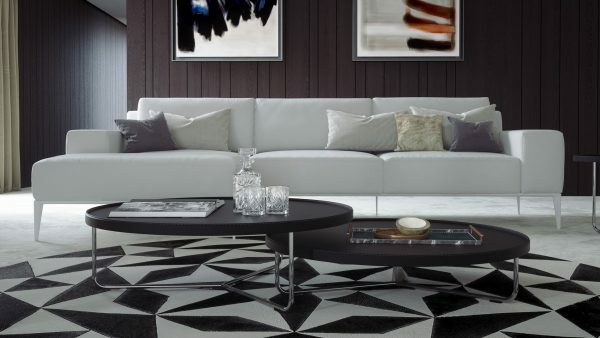 The Elizabeth sectional sofa’s majesty lies in its decadent dimensions. Broad seats, a deep chaise, and ultra-wide armrests maximize overall luxuriousness. Top grain Brazilian leather cushions with breathable pocket technology are exceptional at keeping their shape. Low profile aluminum powder-coated legs with metallic finish accents beautifully, juxtaposing the Elizabeth’s tremendous yet tasteful presence. 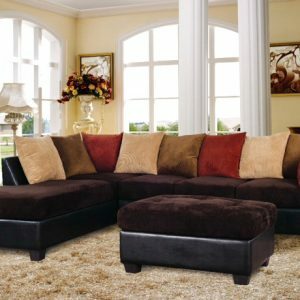 Includes 1 right-arm sofa and 1 left-facing chaise.